With the hustle and bustle that comes with city centre living, it’s not often the words luxury and spa come to mind. For a spa day, I always think I have to go out into the sticks, an open green space with rolling hills and zero street lights. Can you really find that seclusion and luxury at a city centre spa? 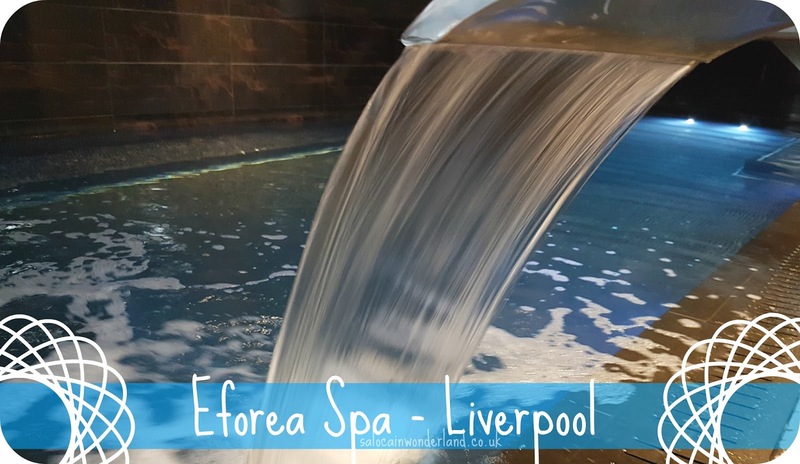 Eforea Spa, Liverpool, is connected to the Doubletree Hilton Hotel. A luxurious setting in the heart of the city. The moment you step off the street and onto the red carpeted entrance, you know you’re heading into something special. The sounds of the street fall away and already, you’re leaving the chaos of the city behind. I checked in at the Spa reception, then headed into a side room to grab a hot drink in a oh-so-fancy china mug. 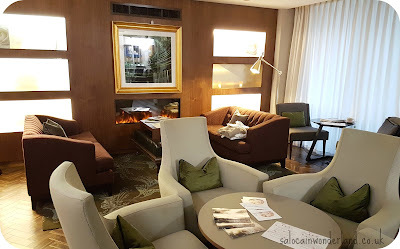 With a warming fire on one wall, and super comfy couches and chairs filling the room, I was already beginning to relax. 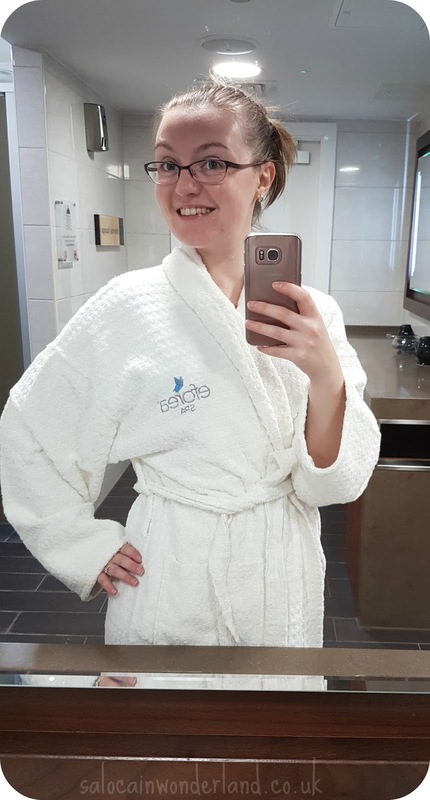 Janet, from the front desk, came in with my complimentary robe, towel and spa slippers, and as soon as I’d finished my brew, she took me down into the spa. After a quick tour, and an even quicker change, I got myself in that pool so fast you’d have thought my backside was on fire. The pool is located just under street level but you can’t hear a thing except for the water and the soft background music. 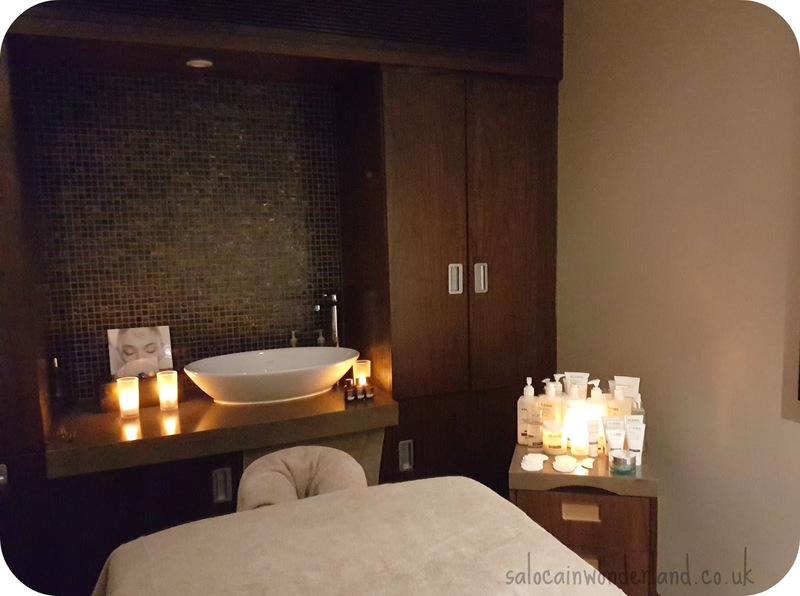 Every eforea spa package comes with 2 hours use of the thermal suite before your treatments. 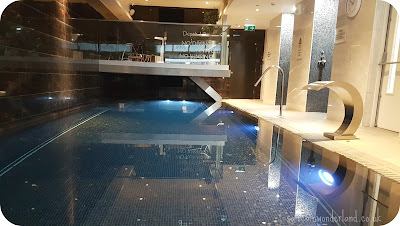 After a few long, lazy laps in the pool I started with the tranquility pool - a large hot tub with an inbuilt bed filled with muscle pummelling jets. Another few laps in the pool, another detoxifying experience to be had. 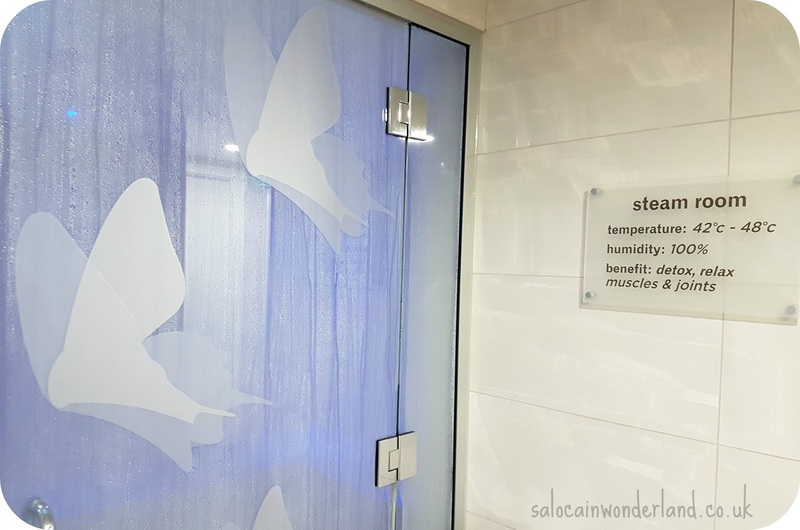 Between the sauna and the steam room, the sauna was my favourite. I felt every inch of me heat up and relax. Having the whole place to myself, I did a little meditation practice too. 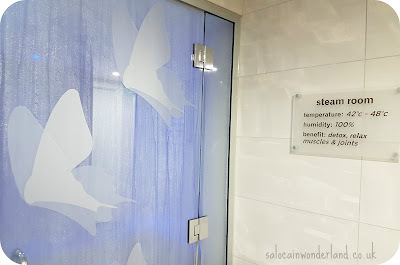 The steam room was lovely, but I always find it harder to breathe and less comfortable than a sauna! My 2 hours flew by and I headed to the Transition Room, a pre-treatment waiting area that is like stepping into the warmest of hugs. The lights are dimmed, and the chairs are big, lose yourself between the cushions jobs. The treatment rooms are similar to the Transition Room in that it’s dimmed and cosy, all dark furnitures and soothing scents.I had a quick chat about my treatments with Maria, my therapist before she popped out to let me get comfortable. First up, the Elemis deeper than hot stone massage. Baseline stones bathed in Frangipani oils are worked deep into the muscles, relieving tension. I had terribly tight shoulders and this worked a treat. My back felt like it had been switched out and replaced with a whole new spine! 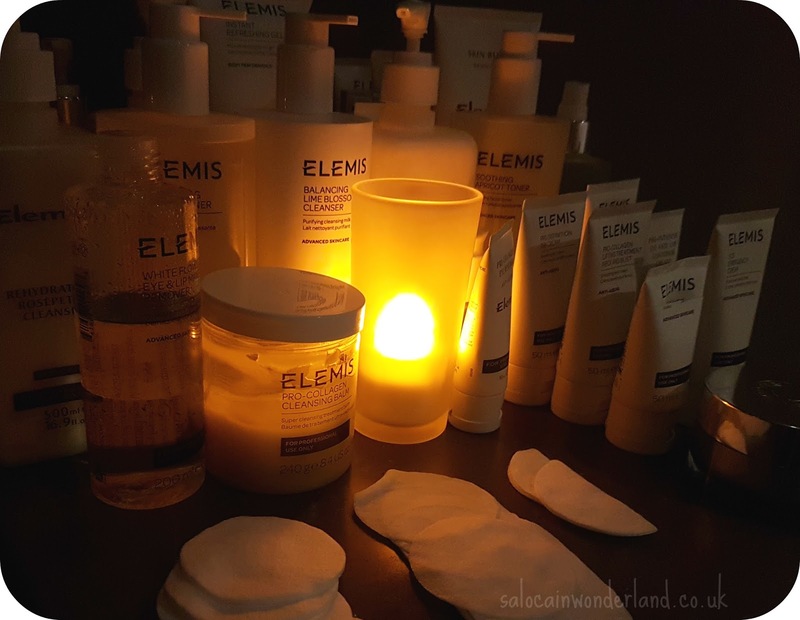 After my massage, I had the eforea Signature Essence facial, having spoken about my current skin woes of dry patches and oily outbreaks, the facial was completely tailored to tackle these troublesome areas using all Elemis products. This was one of the most intense and nourishing facials I have ever had. Part of it included a mask and, during the time it took to set, Maria gave me a wonderful head massage, there wasn’t a moment throughout the entire 55 minutes when a part of me wasn’t being worked on! Floating high up on Cloud 9, I left my treatment room and headed back into the Transition Room to really squeeze every last drop of relaxation out of my day. No book, no phone, just me and my thoughts. It was the perfect escape from the daily grind and a fabulous 3+ hours off grid. 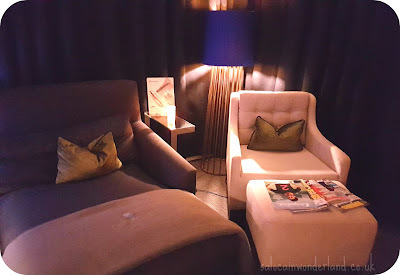 Can you get that escapist luxury spa experience in the middle of a bustling city? It’s a resounding yes from me. Eforea offers something for everyone, so pick your pleasure and level up your me time. 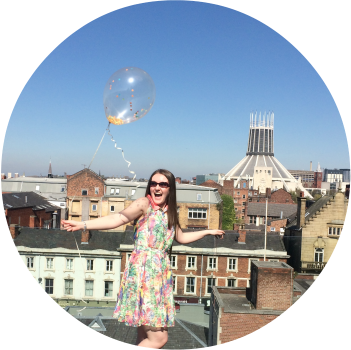 Huge thankyou to Eforea for inviting me to spend the day with them, I had the best pre-30th Birthday pamper imaginable! Stay tuned, my day didn't end there - there's more treats to come! How do you like your spa days? *This spa day was kindly gifted to me by eforea. All thoughts and opinions are my own. For more information see my disclaimer policy. ahh this looks so fancy, I love it! It was amazing, I need to make this a regular thing! It was marvellous! Loved every second of it! I wish I could have the tranquility pool installed in my house! A day of bliss like this sounds absolutely amazing and I love a good hot stone massage! I’ve never heard of Eforea but now it’s pretty high on my “places I must visit” list. Sounds perfect for escaping the hustle and bustle of everyday life. I hope it's high on your list! It's such a beautiful place and such an amazing way to spend some me time!